Finally horse-events is also available in english! We are pleased to offer at the end of October a new service, in advance as friendly usertest. The following functions we can tell you now. There will be 2 attractive packages available which can be ordered. Both will be available this year as a friendly user test. My HE we be available on Web and on mobile phone via browser. Full operation and mobile app are planned for next year. Registration for the friendly user test is free and without obligation. Time and instructions for testing the friendy user login, we will announce you in time. 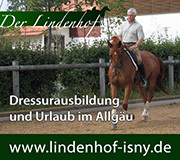 Since 1.1.2014 is horse-events operating in a separate company. We are pleased that we can manage the show office at the Horsepark MAGNA RACINO for the year 2014.